Solenn Heussaff Holds Her Second Art Exhibit "Kalsada"
And Nico Bolzico has a funny and romantic post about it. 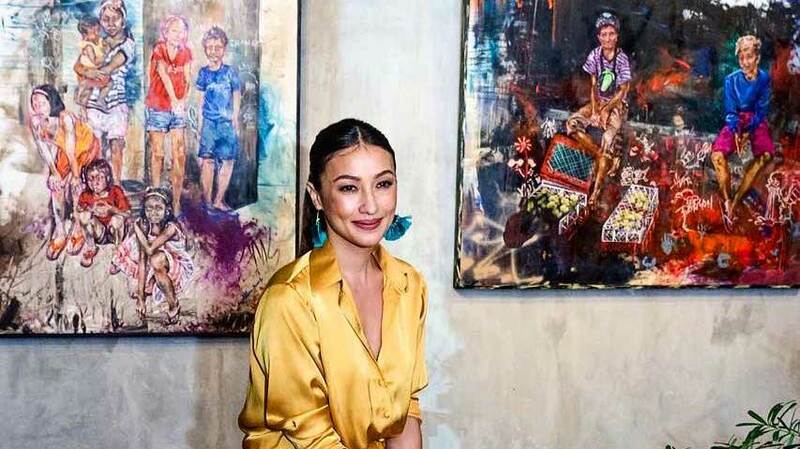 Solenn Heussaff—actress, painter, makeup artist, athlete, TV host, businesswoman—opened her second art exhibit “Kalsada” last Friday, October 20. The exhibit, which has a free admission, is held at the Provenance Art Gallery at Shangri-La Hotel at the Fort, Taguig City. Solenn’s first exhibit called “Our People” was held in April 2016 at Pineapple Lab in Makati. On October 21, Solenn’s husband, entrepreneur and athlete Nico Bolzico, posted on his Instagram words of appreciation for his wife. The message turned from supportive to funny to downright romantic—typical Bolzico fashion. These two keep making us smile! “Kalsada” runs until November 5.